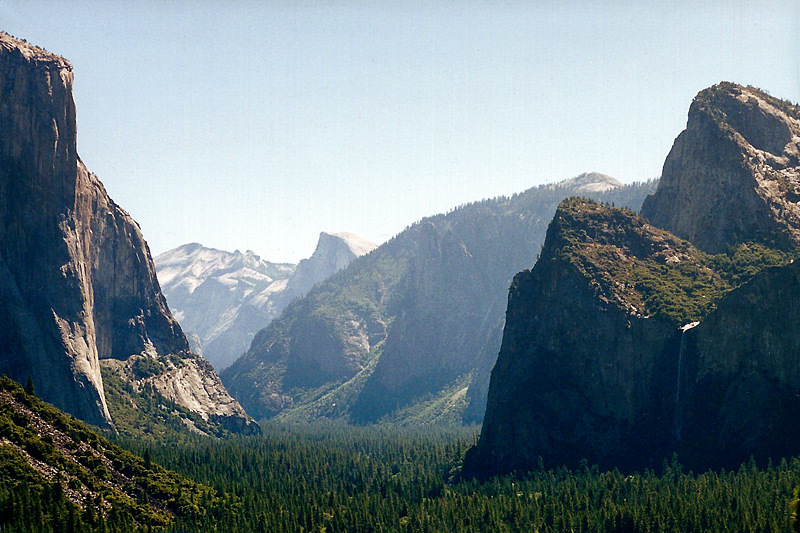 This is the famous Tunnel View, accessible from a road-side overlook. I took this picture in early July and you can see that Bridalveil Fall is down to just a little more than a trickle (look at the lower right corner of the large image). 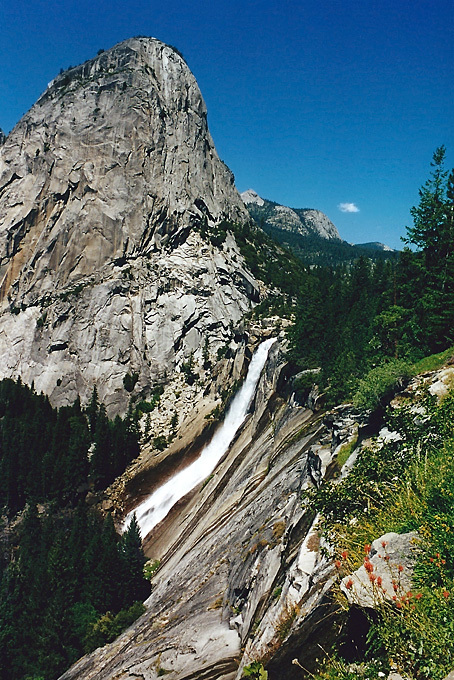 This picture of Nevada Fall is taken from the John Muir Trail. That's Liberty Cap behind it. 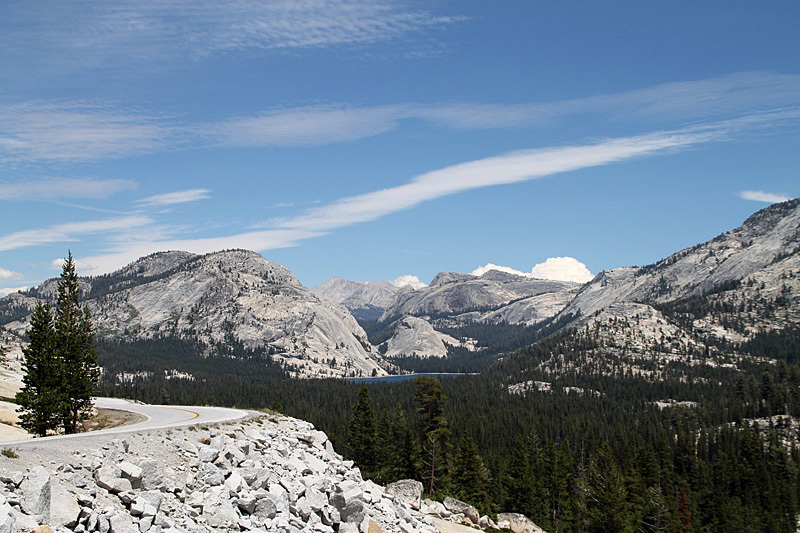 This is part of a loop which will take you past the base and top of both Vernal and Nevada Fall. It's 8.5 miles round trip and has 2 very steep sections. 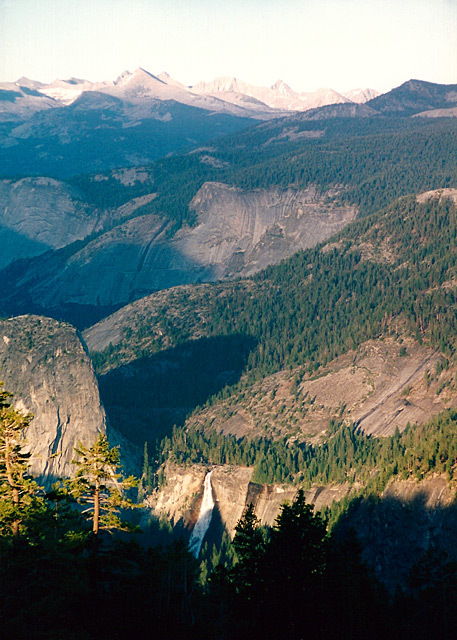 Here is another photo of Nevada Fall, this time taken from the top of Sentinel Dome about an hour before sunset. 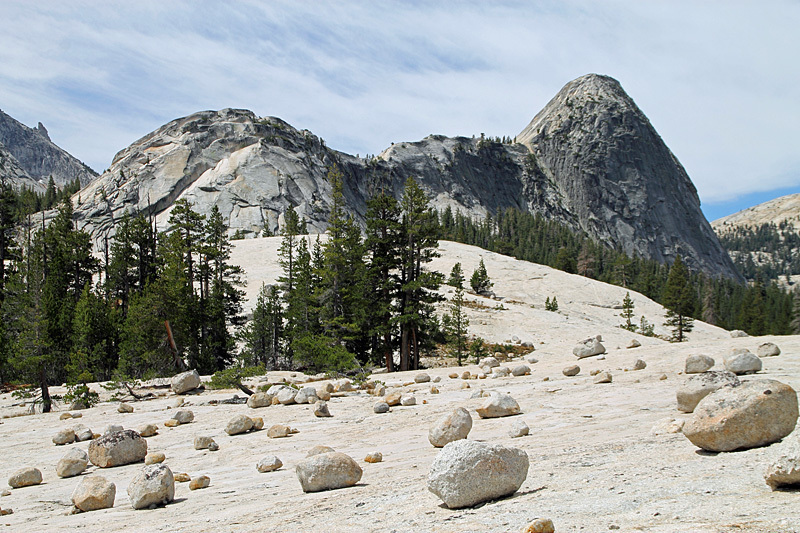 Sentinel Dome can be reached by hiking a mile (one-way) up a trail with a steady but moderate climb. 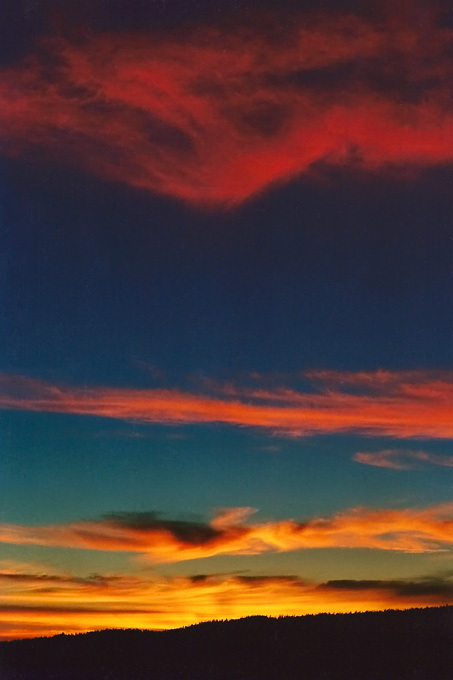 The 360 degree view from the top is well worth it. 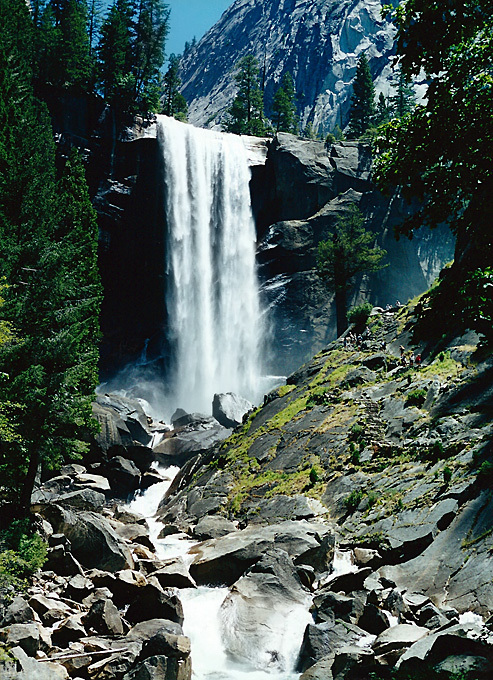 This view of Vernal Fall is taken from the popular Mist Trail. In the larger image, you can make out some people on the trail, which will give you a good sense of just how large this fall is. From the top, you can loop back down, so you don't have to retrace your steps, or complete the full loop described above for Nevada Fall. This hike will only be about half as difficult as that one. 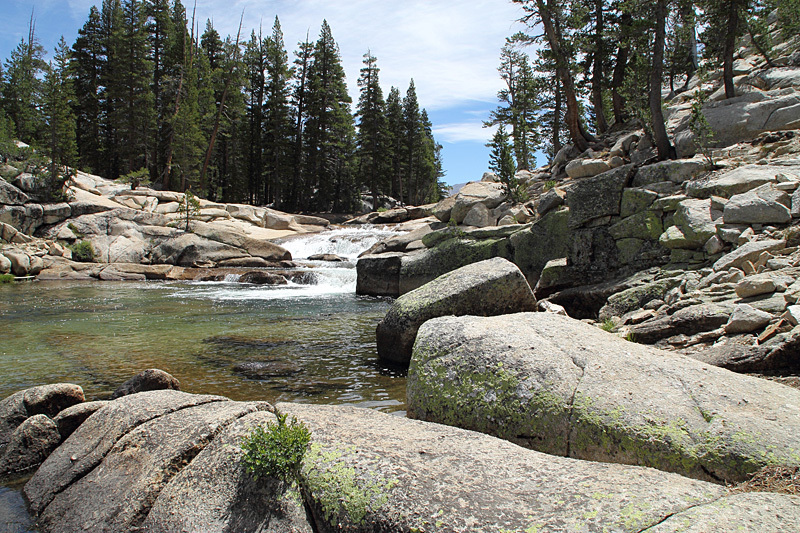 Follow the flat trail at Pothole Dome for no more than a mile to reach these small waterfalls on the Tuolumne River. 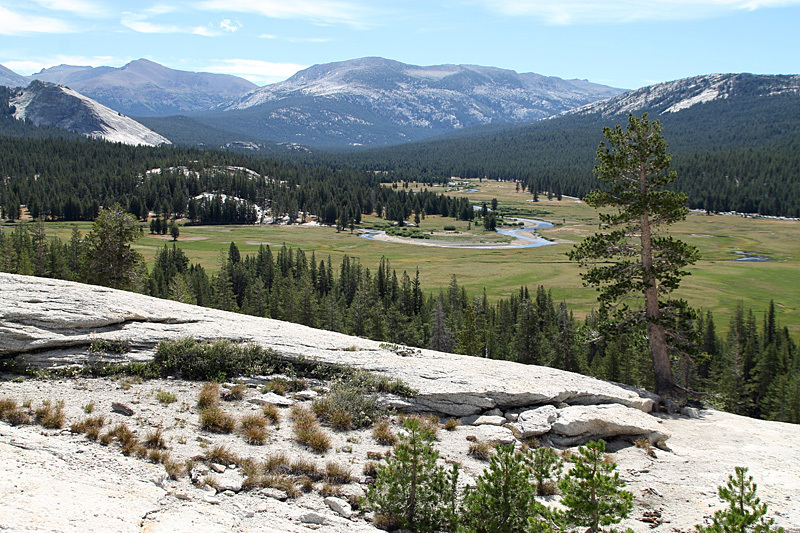 A short, easy climb up the east side of Pothole Dome provides excellent views of Tuolumne Meadows and Fairview and Medlicott Domes. 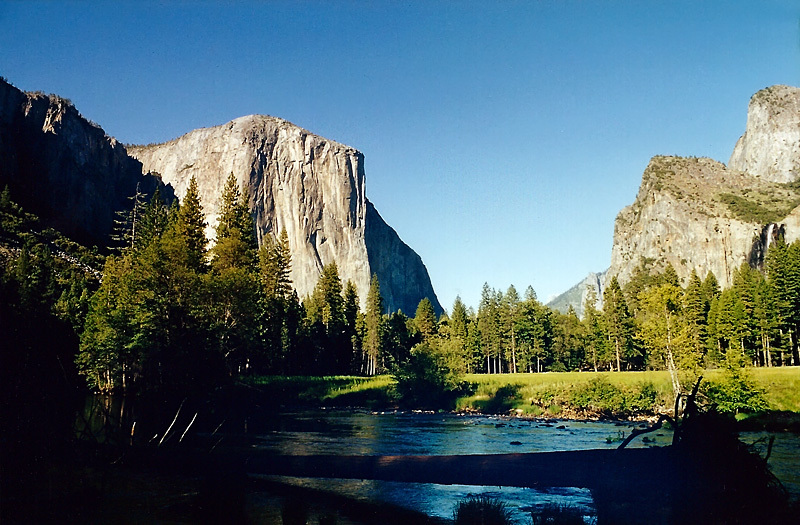 El Capitan from Valley View. 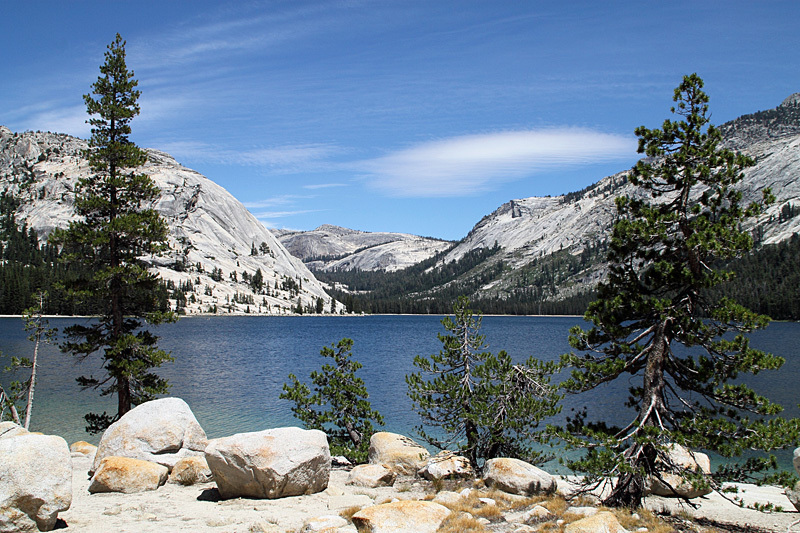 Tenaya Lake is right by the side of Tioga Road. 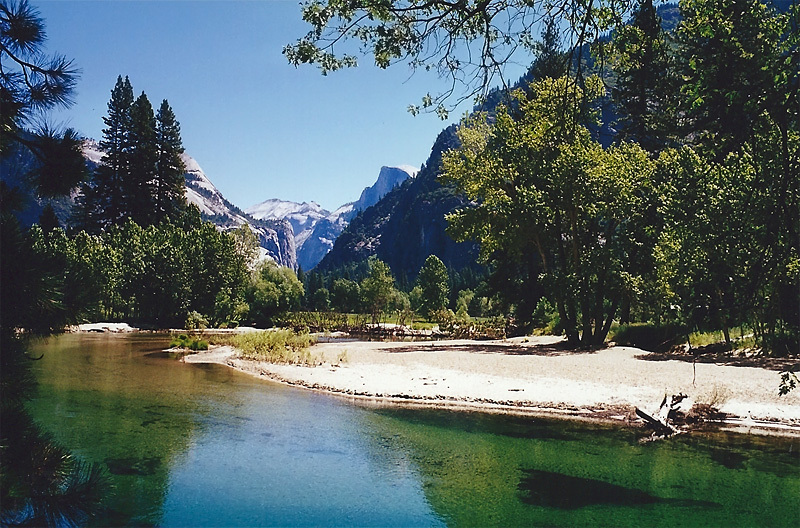 It's seen here from Olmsted Point and the south shore of the lake. 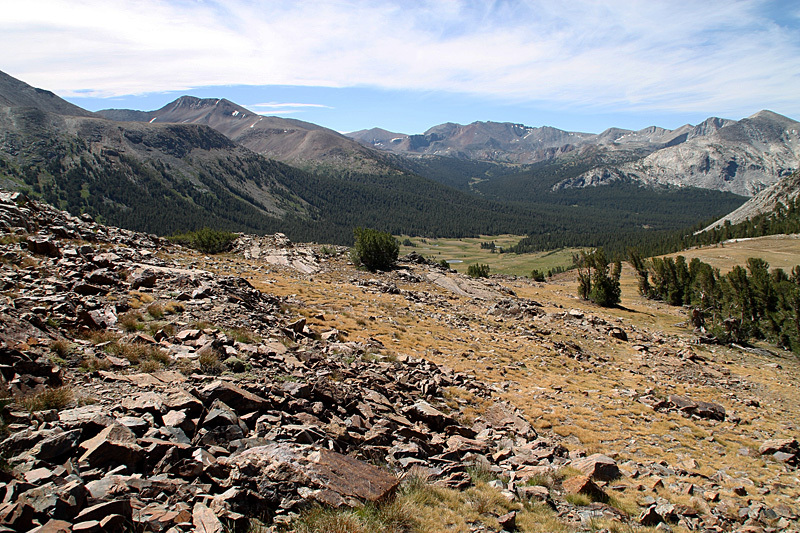 A short but steep trail starting at Tioga Pass takes you to this view from just below Gaylor Peak.